Thanks to mache777 in my Epstein thread, they brought up the idea of designing the Narcissus from the end of Alien / start of Aliens. So that is what I started doing this weekend. Nice work Keep it going! I'm aiming for right around a foot long. I am finding that various views of the model differ in a bunch of details... and even establishing if the model is from the movie or from someone's workbench is a challenge. The size sounds good to me! Surprising that there hasn't been a model before of this. Will be following this with great interest. 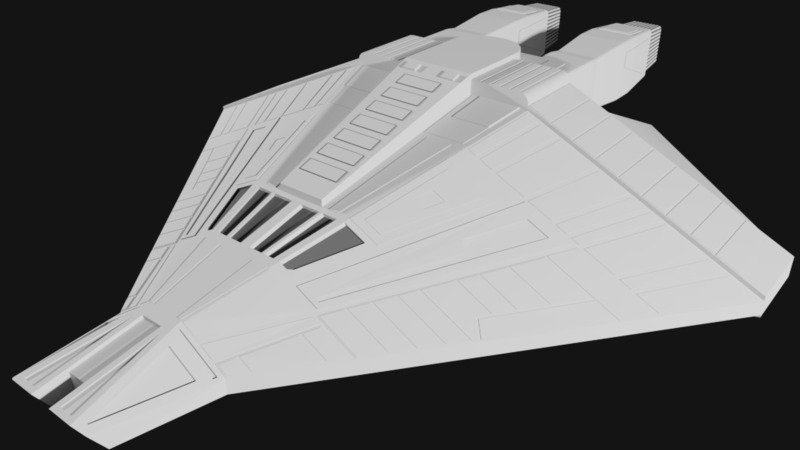 I was able to keep working on the hull panels last night. At least the topside is starting to come together. Vger1981, who gave us the Derelict & Betty, was working on one 2 yrs ago, over on Z. Following with much enthusiasm as I was researching and designing this very ship a few years back (’14). Excited to see the beauty that you come up with. I have several drawings/views/plans of this. If you’re interested, PM me and I’ll send them your way. Thank you very much for taking on this ship i look forward to your design evolving, Looking forward to the finished thing. Skyman00 has some great reference diagrams... and I clearly have a bunch of mistakes in what I've done... so much so that I think I'm going to start a new cad design to get things right.